Tymofejeva N.K. About Symmetry of the Combinatorial Sets. P. 3-18. Gritsenko V.I., Timashova L.A. Intelligent Sensor Systems is a Technical Basis for the Smart Enterprise of the Digital Economy. P. 19-25. Sukhoruchkina O.N., Progonnyi N.V., Voronov M.A. The Interpretation and Use of the Rangefinder Measurement by the Autonomous Mobile Robot Control System. P. 26-34. Bibilo P.N., Romanov V.I. 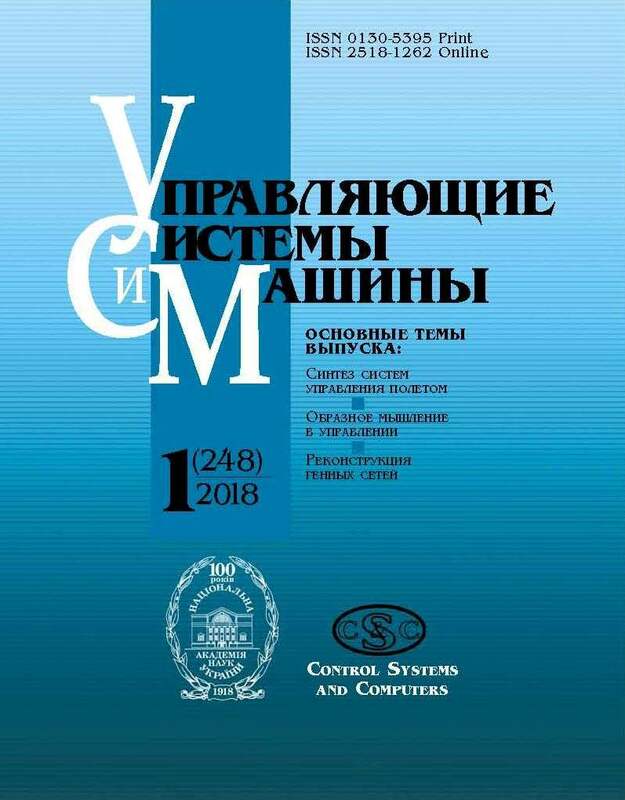 Constructing Compact Tests for Functional Verification of VHDL Descriptions of the Finite State Machines. P. 35-45. Lytvyn O.N., Lytvyn O.O., Lisny G.D., Slavik A.V. The New Method of Image Recovery in the Areas of Absence of Information About Pixels. P. 46-58. Tkachenko R.A., Tkachenko P.R., Іzonіn I.V., Batyuk D.A. Methods of Image Pre-Processing Based on Neuro-Paradigm of Geometric Transformation Model. P. 59-67. Levykin V.М., Chalaja O.V. Model of Lifecycle of Knowledge-Intensive Business Process. P. 68-76, 85. Stepanenko O.P. Digital Transformation of the Banking System in Conditions of Digital Economy Formation and Development. P. 77-85. Brovarnyk V.V. Information System for the Collection of Cells From Human and Animals Tissues. P. 86-93.